A food lover, mother and wife. A Le Cordon Bleu dropout. A former communications executive. The kitchen is my playground savoring Asian & Western dishes. I invite you to join me. Let the fun begin. A vegan version of the gorgeous Kung Pao dish. The Sichuan Cuisine boasts 24 different types of ‘complex flavours’复合味. The Kung Pao (the sweet-sour-scorched chili flavour) taste is obviously the most beautiful one. The two spices (Sichuan Peppercorns and Dried Chillies) are sizzled in oil until the chillies are darkening. Throw in a bit of sweet and sour. And you have Kung Bao Flavour, a truly marvellous taste. Cut fried tofu puff into cubes. If you use extra firm tofu, then cut the tofu into cubes, pan fry them till golden. In a separate bowl, mix all the ingredients of seasoning sauce (dark soy sauce, light soy sauce, Chinkiang vinegar, caster sugar and corn flour). Stir and mix well to make sure sugar is dissolved. Set aside. Add 6 tablespoons of cooking oil in the work over high heat. When the oil is heated, add Sichuan peppercorns in the wok over LOW heat. Stir fry for 3 minutes or until fragrant. Skim and remove the cooked peppercorns if you feel them annoying when enjoying the food later. (Be sure of using low heat and be patient. Over-fried peppercorns bring a bitter taste. Pour the oil in a bowl. Set aside. Now place 1/3 of the peppercorn oil in the wok, turn up the heat to medium heat, add garlic, ginger, leek and cook for about 2 minutes or until fragrant. Then add dried chili and cook for another 2 minutes. Transfer the cooked mixture into the seasoning sauce. Mix well. Set aside. Add rest of the oil in a clean wok, turn up the heat over high heat. When the oil becomes very hot, add into tofu puff cubes. Stir fry for about 2 minutes. Mix the tofu cubes with the cooked seasoning sauce. This process should take about less than 1-2 minutes. Transfer out on a plate and serve with rice. Let’s have a couple of these soft, chewy dumplings filled with a sweet black sesame seed mixture to wrap up the 15-day celebrations of the Lunar Chinese New Year. The glutinous rice ball, or 元宵 in Chinese, is actually the name for the Lantern Festival that occurs on the fifteenth day of the lunar new year. Eating the sweet delicacy together with family, you and your loved ones will have a sweet life throughout the year! In a small skillet, toast the sesame seeds over low heat for a few minutes, shaking the pan and stirring continuously to keep the seeds from burning. Use a small food processor. Add toasted sesame seeds and sugar and grind to a fine, sandy mixture. Melt the butter over low heat and cool it off. In a mixing bowl, combine the ‘sandy mixture’ with butter to form a big ball. Add peanut butter as it would help you bring the mixture together. Form the mixture into small balls with your hands. Each sesame ball weights about 6gram. In another mixing bowl, place the glutinous flour. Add the water, a small amount at a time, working and shaping the dough until it has a texture similar to playdough – not too soft, but smooth and easy to manipulate. If you find the dough is too dry and it is hard to bring bits of dough together, simply place a piece of dough (1/6 of the mixture) to a boiling water over high heat. Cook until the small dough float to the top of the water. Take the piece out and combine it with remainder in the mixing bowl. The ‘cooked’ dough piece plays the role of ‘glue’ to bring the dry bits of dough pieces together. Roll the dough into a log of about 2cm and divide it into small equal pieces. Each piece weighs about 10gram to 12gram. Roll the piece into a ball. Use your thumb to make a deep indentation in the dough, and place a sesame ball into the hole. Close it up. It is important to make sure the sesame ball is completely covered with the dough. Gently roll the dumpling between your two hands to a perfect round shape. Continue with the remainder of the dough. Sprinkle some dry glutinous rice flour over the dumplings to prevent them from sticking to each other. To cook the dumplings, bring a large pot of water to boil over high heat and gently drop the dumplings in. Use a wooden spoon to gently nudge the dumplings and make sure they’re not sticking to the bottom of the pot. When the dumplings float to the top of the water, add 1 cup of cold water (this will keep the skins from splitting), cover the pot and cook for another 3 minutes. Remove the dumplings from the pot with a slotted spoon and scoop a couple spoonfuls of the cooking water over them to keep them from sticking to each other. To serve, place 3 to 4 dumplings into a small bowl for each person and add a couple of the remaining cooking water. A delicate and light-tasting dim sum. It is not that difficult to make your own at home. 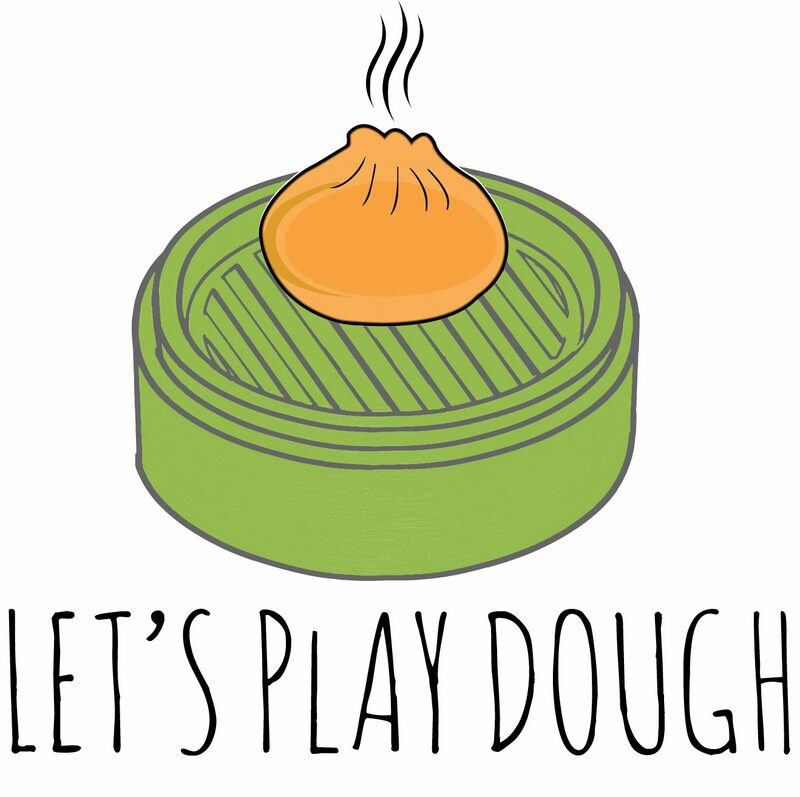 The most challenging part is handling the dough because it is largely made from gluten-free wheat flour (澄粉), which is commonly used in making Chinese Dim Sum. A good tip is coating your work area with vegetable oil or using parchment paper. Slice the bamboo shoots. Bring a pot of water to a boil. Blanch the bamboo shoots in the boiling water for 2 minutes. Drain the bamboo shoots. Cook the pork fat in the same pot for 2 minutes. Drain. Mince bamboo shoots and pork fat. Set aside. Use kitchen towel to pat dry the unshelled and deveined shrimp. Mince half of the shrimp and cut the remaining ones into smaller pieces. Different cuts result in contrasting mouthfeels. Add chopped and minced shrimp in a mixing bowl. Place into 1 teaspoon of corn starch and 1 and half teaspoon of salt and stir in one direction for 2-3 minutes until mixture becomes quite sticky. Then add sugar, sesame oil, white pepper powder, minced bamboo and minced pork fat. Mix well. Set aside, covered and in fridge for 30 minutes. Mix the 120g wheat flour and 40g potato strach in a mixing bowl. Use a chopstick to stir into 140ml boiling hot water. Mix well and cover with a lid, set aside for 10 minutes. Divide the dough into 24 equal pieces. Pick up a piece, shape it into a small ball. Place the ball onto a piece of parchment paper. Then use your palm to press it down to create a circular disc. Use rolling pin to smooth it out each disc till it is about 9cm in diameter. The wrapper is very delicate so handle it carefully when rolling out the wrapper and moving it onto your hand for assembling. 3. Spoon a teaspoon of filling into the center of the wrapper, form taco shape and start pinching one end of the wrapper to seal, heading towards the middle. Bring water to a boil on your stove. Place all the dumplings onto the lined parchment paper. Steam the dumplings for 8 minutes with high fire. Then serve hot! No dipping sauce is required. If you insist, just go with light soy sauce. Sesame balls are one of the most popular desserts in China and some Southeast Asia countries. Street vendors sell them and you can also get them at dim sum restaurants. It is a quite challenging Chinese recipe though. The problem comes during deep-frying – the sesame balls need to be turned continually to expand and become center-hollowed. You just need practice to skillfully manoeuvre the balls in the hot oil. Place glutinous rice flour in a mixing bowl. Bring the water to a boil. Resolve the sugar in the hot water. Pour the hot sugar syrup into the glutinous flour, stir and mix well. Add in ½ tablespoon of oil, knead until smooth and shiny dough is formed. Wrap with cling wrap and set aside for 10 minutes. Divide dough into 12 portions (25 g each), roll dough into ball shape, cover with cling wrap. Coat generously with sesame seeds, press gently so that sesame seeds can stick firmly on the surface. Drop the sesame balls into oil when the oil starts to heat up, about 120°C to 130°C. Use medium-low heat to avoid burning. In 3 minutes or so, the balls will start float up to the surface. Stir and gently press down with a slotted spoon while frying, sesame balls will expand in size. The secret is to gently press until the balls expand, crispy crust will form around the chewy and hollow center. Repeat the ‘pressing down’ in 3 or 4 times. In the meantime, use slotted spoon gently moving around the balls to ensure they are evenly cooked. Deep fried to golden perfection – this step takes about 15-20 minutes. Ready to serve. This dessert is better served while it’s still hot and it’s not suitable for storing in the fridge. Ideally, eat it as soon as possible for the best taste. The celebrity chef Nigel Lawson was quoted that Pandan leaves are the next big food craze in the US and UK. This unique Southeast Asia plant, which are found in the backyards of many Malaysian homes, has a sweet fragrance that is likened to vanilla. Its extracted juices are the natural food colouring that is commonly used in some popular Southeast Asia desserts. It is also an essential ingredient for making the famous Singapore Chicken Rice. Preheat the oven to 170℃. I use an oven thermometer to make sure to get the exact temperature. Use oven function of ‘Fan Plus’. Place the rack in the lowest level of your oven. First let’s make the pandan juice. Pandan leaf is not a juicy plant. To ‘squeeze’ the juice as much as you can, thinly cut the leaves then add them in the food processor with 4 tablespoons of water. After it comes a paste, place in a cheese cloth. Then squeeze the juice out in a bowl. Now let us cream the egg yolk. Place egg yolks into a large mixing bowl, use an electric mixer to whisk the yolks on medium speed (30 seconds). Gradually add into sugar and beat on high speed until the eggs have tripled in volume resulting a nice and light batter. This takes about 5 minutes. Now that the batter and meringue is done, It is time to mix them both together. Add one third of the meringue to the batter and mix it with a spatula so that you get a light green batter which is easy to fold. Then add the rest of the meringue to the batter and GENTLY fold the mixture in. Now put the cake into the oven. Make sure that the oven thermometer shows 170 °C and put the cake tin as lowest in the oven as you can. It is critical to have more heat at the bottom than the top or else the top will brown, crack, become dry and start to sink before your baking is done. At around 15 to 20 minutes, you cake would have risen and start to crack. The entire baking time takes about 55 minutes. Once baking is done, overturn the cake and let it cool. Use a funnel to elevate the cake. This is important because if the cake is too close to your tabletop, condensation takes place and you will spoil the surface of the cake. To speed up the cooling process, you can drape a wet towel over the cake tin. This takes about 60 minutes. Once your cake is cooled, it’s time to remove it from the tin. Use a sharp knife and with one movement separate the sides of the cake from the tin, pressing your blade as firm as possible on the cake tin. It is the time of the Year! With the Chinese New Year around the corner, you can find pineapple tarts just about everywhere in Singapore or Malaysia . Every bakery that churns them out is claiming that it’s tarts are the best. But I found out today these melt-in-mouth homemade tarts with buttery crumbly pastry and fresh homemade pineapple jam are the BEST I’ve had so far. It calls for simple and fresh ingredients with minimized use of sugar. No preservatives added at all. Now add in sugar. The mixture will turn watery again after sugar added. Continue stirring with a wooden spoon for about 15 minutes till it becomes a thick paste. Reduce the heat to low and cook for about 60 minutes. Stir from time to time to avoid burning. Scoop out the pineapple jam into to bowl and let it cool completely. Scoop a small portion (10g) and use your hand to shape it into a ball. If you find it is too watery to difficult to make it into a ball, just place the jam the fridge for a few hours then try again. Add into the mixture the egg yolks and condensed milk. Use your hand to combine them together till it becomes a soft dough. Wrap the dough in cling wrap and leave it in the fridge for 20 minutes. It is a traditional Cantonese dish but now becoming popular throughout China. The rice is slowly cooked in a clay pot, giving the dish a distinctive flavor. It is typically served with Cantonese-style cured pork and vegetables. A perfectly cooked clay pot rice has a great flavor of all the ingredients, with nicely crisped and scorched rice on the bottom of the pot. Rinse the rice carefully and then soak with clean water (2 cups and 2 tablespoons) for around 15 minutes. In the meantime, slice the sausage into thin slices. Bring the pot to a boil, turn to the low-medium heat and continue to cook the rice for 2 to 3 minutes. Remove the lid, add ginger slices firstly and then top with sausage slices. Drizzle oil over the edges. Cover the pot. Turn to low heat and cook the rice for 30 minutes. In the meantime, blanch the bok choy in a pot of boiled water. Drain and set aside. Let’s also make the sauce. Get a clean bowl, add into all sauce ingredients. Mix well. 6. Remove the lid of the pot. Place onto the bok choy. Sprinkle all the sauce evenly over the top of the pot. 7. Use a big spoon to stir everything together to make sure all grains of rice are nicely coated with sauce. Do not miss those beautifully crisped rice on the bottom of the pot!